Dr. Mehdi Fathi is an MD and Faculty member of the University in Mashhad in Iran. He is also the President of the Iranian Society of Clinical Hypnosis and Organizer of the first Asian Congress of Hypnosis in Mashhad October 2019. So by contact with him during our congress you may be invited to the Asian congress in Iran. His medical specialty is pain and he is among other things known in Iran for his TV demonstration of surgeries with hypnosis as the only anesthetics. He is the most prominent and well- known researcher of hypnosis fields in Iran. He has graduated in anesthesiology and cardiac anesthesia as subspecialty. He has been trained in heart transplantation anesthesia in Paris (2009) and became a faculty member of Iran University of Medical Sciences (Tehran) at the same time. 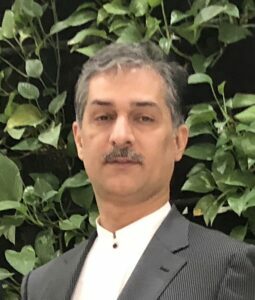 He is an associate professor of cardiac anesthesia in Mashhad University of Medical Sciences and the head of Training program of cardiac anesthesia fellowship in there. He has organized more than 400 hypnosis conferences around Iran universities and presented more than 70 articles in national and international conferences. He has guided more than 50 hypnotic projects as MA to postdoctoral thesis. He has published lot of articles in international journals (ISI , Pubmed and scopus indexed). He has written 65 titles of books in hypnosis and health care aspects (native language). He is the chief of the only branch of ISSCH in Khorasan state (Mashhad). He has done more than 400 surgeries without anesthesia by hypnosis included Hand device removal surgery, Knee ligament reconstruction surgery,Lipoma removal surgery,Uterine Curettage,Hair transplant surgery,Inguinal hernia repair,Bilateral blepharoplasty,Painless vaginal child birth. Lot of his investigations have done on chronic pain management by hypnosis.